THE TIME TRAVEL RECORD is held by retired cosmonaut Sergei Krikalev, who trumps us all with 23 milliseconds more reality than you or I. Yes, it’s a stretched qualification for ‘time traveller’ — the sharper way to put it is that for Krikalev, time has been slightly dilated. Slowed down, as it were, leaving him with a fraction of a second more existence than he might otherwise have been allowed. Fiddly business. The physicists refer to this phenomenon as time dilation, a consequence of Einstein’s Special Theory of Relativity. The effect is this: time slows down when you approach the speed of light. It’d be generous to say that Krikalev ever ‘approached the speed of light’ (because that’s really quite fast). What the man has done is spend just over 803 days living in space, spent between missions aboard the International Space Station (ISS) and its Russian counterpart, the Mir (sunk and obliterated, as of 2001). This means cruising at 27,600 km/h (17,100 mph) as you orbit Earth — that’s 7.66 kilometres every second. 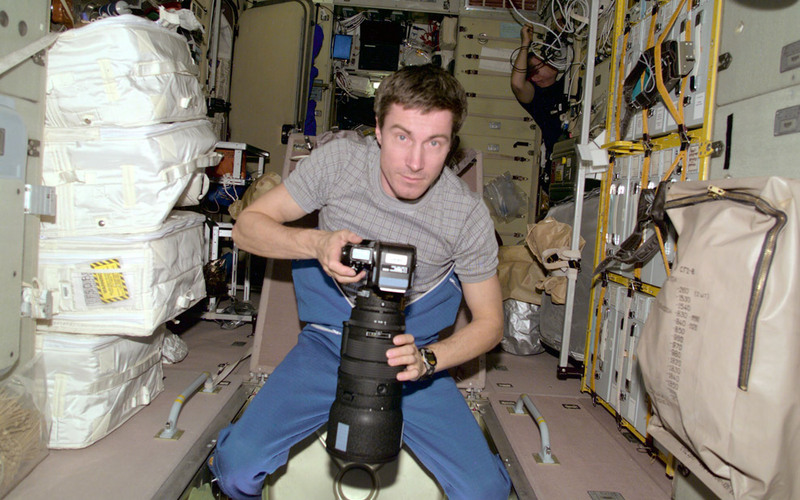 Cosmonaut and time traveller Sergei K. Krikalev aboard the ISS, December 2000. Photo: NASA. Comparatively, the speed of light is just short of 300,000 kilometres per second. That’s faster than anything we’ve ever known. Current scientific thinking is that the speed of light represents the ‘speed limit of the universe’: nothing but light could go so fast and certainly nothing may travel faster. At 7.66 km/s Krikalev is no contender. But he is moving far more quickly than any human on Earth has the means to achieve. And across 803 days, the miniscule effects of time dilation had room to swell, quietly bulging to the slim but noteworthy 23 milliseconds of existential drag. Krikalev is a fraction of a second ‘younger’ than what he would’ve been if he stayed at home. In a sense, he has travelled 0.23 seconds into the future. Over the dinner table this figure has less kick than anything Doctor Who might arouse. The juice really lies in what Krikalev’s time dilation represents. Scientists measure this sort of thing with hyper-accurate atomic clocks. If you leave one clock on a desk and send its exact double on an aeroplane trip around the world, the clocks will come back to you reading slightly different times (as per the famous Hafele-Keating experiment). It’s not the outcome of dodgy clocks. Time dilation has been challenged and tested with all sorts of rigour. Today the phenomenon is a routine consideration in the mathematics of spaceflight, GPS satellites and other scientific endeavours requiring high speeds and knifepoint accuracy. The heart of the concept begins with light. 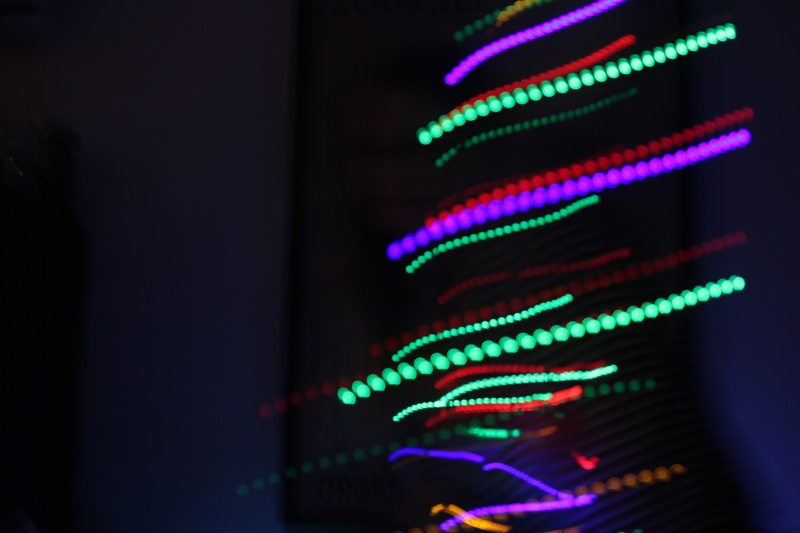 The speed of light, no matter which way you look at it, is constant. Run as fast as you can, you will still get the same measurement of light’s speed as would your colleague standing still. The speed of light remains weirdly the same for all observers, regardless of your relative velocity. To make up for this, time must personally accommodate itself to different perspectives. You might recall the formula, ‘Speed = Distance/Time’. Between these three, balance must be kept. Where light speed is stubbornly fixed, time is compliantly fluid. The faster you go, the more distance you cover, the closer you get to the speed of light, your subjective flow of time will begin to slow down. Click here for a Lapsus dip into Einstein’s Theory of Special Relativity, where the whole idea may begin to sound a little less preposterous. The time dilation phenomenon has ghostly implications. Physicists speak of something called the twin paradox. Your identical twin stays on Earth, operating from mission control, and you’re the space traveller, taking off in ship that travels at 80 percent of the speed of light. You fly out to a nearby star system then turn around and head home. By mission control’s calculations the whole journey will take ten years. And it does: when you return, everyone on Earth has aged ten years and the date is ten years on. However, travelling at such a high speed for so long, something odd has happened. By your clock only six years have passed. There’s nothing wrong with the clock, it is time itself that has changed. When you arrive back on Earth, your twin has aged ten years while you have only aged six. The twin paradox is a trifle more pronounced than Krikalev’s 23 milliseconds. But it will be a while still before our spaceships can travel anything like the speed of light—and with this, dilate the process of ageing. Perhaps the real wonder here lies in the question: you and your twin disagree on the length of the trip… but which one of you is correct? How much time has really passed? The question prods against our common understanding of time. For Earthly purposes time is straightforward and absolute. The sense of this is in your bones, unquestioned and fundamental. While we’re all on Earth, travelling together with the planet’s rotation and orbit and so forth, this might as well be the case. But in the great mix of velocities out in space, behind the scenes of reality, there is really no unifying piece of clockwork. The speed of time is fluid and disjointed. It is not absolute: you and your older twin may disagree, but you are both correct. There is no objective answer to how much time has really passed; ten and six years are both equally valid measurements. The answer depends entirely on one’s subjective frame of reference. Time dilates against the approach to light speed. How about a time-machine then? Well! If theoretically a 1981 DeLorean (or any vehicle) could be accelerated to the speed of light, the events unfolding around you would begin to lag so drastically that at maximum speed, time would cease to exist. At the speed of light time dilation reaches one-hundred percent. From its own perspective, light departs from and reaches its destination instantaneously. By the breath of the same instant, it reaches everywhere it shall ever be. Current thinking is that it would be really quite difficult for matter (let alone a person) to reach light speed. Burried beneath the French-Swiss border in an oval-shaped tunnel running 27 kilometres, physicists make sporting use of a machine called the Large Hardon Collider. With this they have scratched the ceiling, accelerating molecules to about 99.9999991% the speed of light. Immense amounts of energy are pumped into reaching this speed. But at a certain speed increasing energy ceases to make a molecule travel any faster, instead it gets bigger. As mass increases so too does the amount of energy required to make the molecule move. This leads to the bothersome conclusion that accelerating matter to the speed of light requires an infinite amount of energy. If you’re at all softened up to the idea of time dilation, it may now be of interest that gravity, as well as relative velocity, affects the flow of time. In modern physics, space and time are regarded as interwoven and part of the same fabric called spacetime. 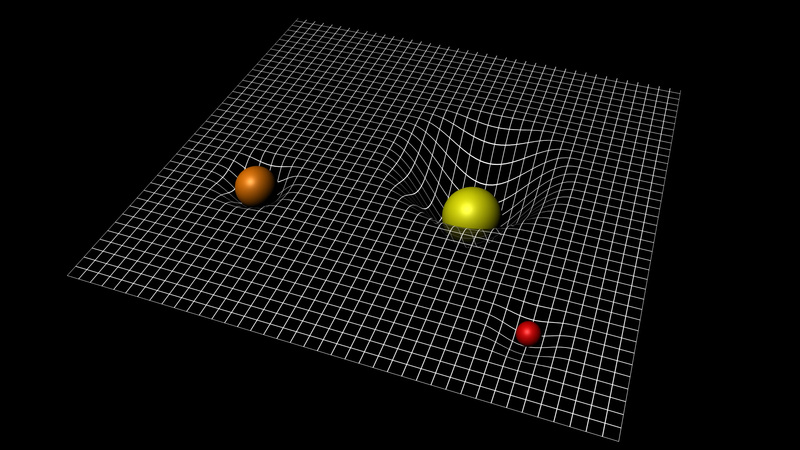 Massive bodies like the Earth, our sun or a black hole are conceptualised to ‘curve’ this spacetime. Gravitational wells in the curvature of spacetime. Image: ESA. The dent is referred to as a gravitational well. Right now, you’re sitting deep inside the well of the Earth. Experiments have demonstrated that the flow of time is susceptible to the dent-like wells. The deeper you are in the well, the slower time runs. The film Interstellar dealt with this, with characters experiencing time more slowly when in close proximity to a massive black hole. So, would a time-machine work simply because it was really heavy? Running the numbers, a person could travel forward in time at a rate four times faster than that of distant observers by sitting inside a spherical tank with a diameter of five meters and the mass of Jupiter. For every day that passed in the tank, four days would pass elsewhere. Not a brilliant time-machine, but it would do well as a place to keep milk from going off.